This top-selling book contains the best secrets for catching bass, catfish, crappie, walleye, muskies, stripers and more! “America’s Favorite Fisherman” Bill Dance, who had the #1 fishing show in America, reveals his “How To” tips on rigs, baits, tackle and more. Bill Dance’s Fishing Tips is sure to be the perfect catch for every fisherman, from beginners to old pros. Don’t let this great collection get away! 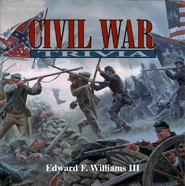 This best-selling book contains hundreds of facts about the Civil War, including unique historical and political trivia of the armies, personalities and soldiers that fought. This title continues to captivate Civil War buffs by providing information on favorite battles and beloved personalities, as well as lesser-known facts that tantalize the reader. The material is presented in an informative style that will attract readers of all ages. Gather knowledge and let your imagination billow as America’s wisest storytellers entice, educate and entertain in the top-selling book, Dream Catchers. This collection presents stories that preserve the authentic and intended messages of the Native American legends, while also painting accurate and vivid portrayals of their culture. You’ll learn why the Cherokees will not hunt the bear and why the Cree’s honor and respect the interdependence of every creature. Story Keepers lets your imagination billow as you gather knowledge from America’s wisest storytellers. These tales entice, educate and entertain, presenting accurate and vivid portrayals of their culture. You’ll learn why most Native People carry a small pebble in remembrance of the first Story Keeper and why the Nisqually story of two greedy brothers explains the creation of Mount Saint Helen. Cats Out of the Bag is practically meowing with hundreds of fun-filled, historic, unique and interesting facts about one of America’s top pets. Authors Terry, Don and Ken Beck fill this book with challenging trivia as well as captivating information about cats, breeds and their owners. Over 64 million households have cats, making this a safe bet for entertainment and gifts! Plus, this is a great addition to any school, local or pet lover’s library. You’ll be bow-wowing with laughter and intrigue as you read over the hundreds of fun filled, historic, unique and interesting facts about man’s best friend. The authors, the Beck brothers, fill this book with challenging trivia as well as wonderful stories about great canine achievements. There are over 150,000,000 dog owners world wide, making this an excellent addition to every pet lover’s library. Everything you ever wanted to know about the sport of golf can be found in this entertaining little compilation of golf trivia. 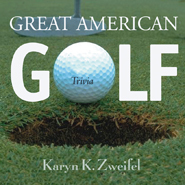 From the history of the game to current golf accomplishments, Karyn has researched this extremely popular game. Fun facts about golf courses, club houses, extraordinary feats and the talented pros who play the game are included in this homage to a billion-dollar industry. Great American Outdoors presents hundreds of facts about America’s greatest natural resources and wonders. Containing examples from all 50 states, this book describes the tallest, longest, deepest, highest, and biggest features that can be found in the United States! A must for every traveling family, nature lover, park enthusiast, tourist or trivia buff. Includes inspiring photographs of Mother Nature at her best. If you’ve ever wanted to know how to taste wines, how to select the right wine for the perfect occasion, or just wanted to know more about wine, then this book is for you. Written in an informative, intelligent and humorous style by well-known wine connoisseur and distributor Victor L. Robilio, Jr., this “How To” book takes the mystery out of selecting the perfect wine for any occasion. This title contains great information for both the average and expert wine lover. Whether you use this book to educate your children, honor your elders or just catch up with history, you’ll be sure to show the women in your life just how important they are. Celebrate the women you know as you celebrate the achievements of hundreds of American women with this amazing and inspiring collection! Whether it’s Mother’s Day, her birthday, or just time to say I love you, search no longer for the perfect way to show a mother or grandmother how she is encompassing and loving. You will surely impress and commemorate your chief lady with this collection of motherly devotions, I Love You, Mom. Inspired by the friendships she formed with the mountain people of the Gatlinburg area, Jeanette S. Greve wrote The Story of Gatlinburg: A Vintage History of the town and its founding families. She traces Gatlinburg’s beginnings in the eighteenth century through the creation of the Great Smoky Mountains National Park in early part of the twentieth century. Included are chapters on Radford Gatlin, the city’s namesake; the Battle of Gatlinburg; and the Pi Beta Phi Settlement House that is known today as Arrowmont School. Additional photos from the National Archives have been added to the original text to illustrate this intriguing history. Bette and George Schnitzer, Jr.
America the Beautiful contains hundreds of fun-filled, historic, unique and educational facts about the people, places and things that make America great. 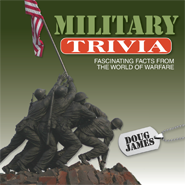 The challenging trivia is a great source for learning about the USA, and your new knowledge will impress friends, family and teachers! The facts are double-checked and verified with appropriate organizations making this a perfect addition to every library. No school should be without this compilation! America the Beautiful is sure to be an American classic and is an ideal addition to Independence Day, Memorial Day, and any other national holiday! This popular title combines Titanic ship history, hit movie trivia and classical movie lore! The previously unpublished cover photo comes from the private collection of Eric Daily, depicting the ship in all of her glory. Together, authors Ken Beck and David Downs compile over 400 facts about the Titanic, including the construction, maiden voyage, collision, crew, passengers and more.